No, this post has nothing to do with one of my published fiction titles, nor my work as an independent author in general. But every now and again, I like to publish content related to one of my personal interests, and my new Tomcat Standard fits the bill. 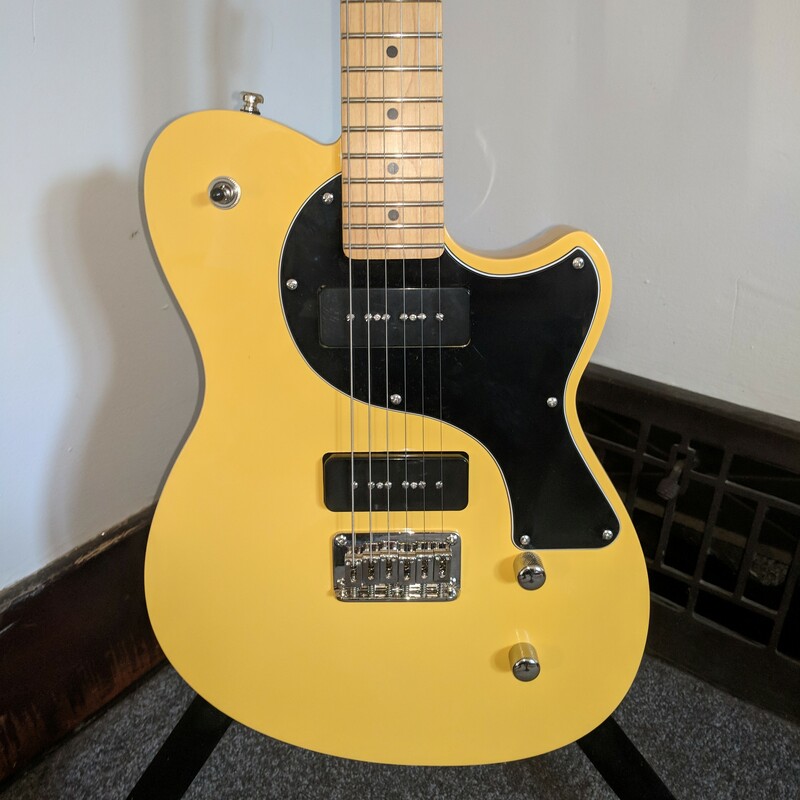 I’ve been on the hunt this year for a P-90-equipped guitar, something both affordable and unique, something attractive and built to last, and something that I find comfortable to play. In fact, I’ve purchased a couple of P-90-equipped guitars this year, and have been disappointed with both. It seems that I’m forever buying new (and used) gear, then turning around and selling it a few weeks later, often at a small loss. In other cases, I’m picking up gear, modifying the crap the out of it, and still finding myself unhappy with the outcome. And so, when I came across a small manufacturer, based of out Florida, known as Sublime Guitars, I took a look at what they had to offer. I’ve got no idea how I first heard of Sublime, just that I did at some point. …mission is to build the perfect electric guitar. By sourcing from small, high-quality shops rather than large production factories, our guitars have the highest level of craftsmanship. We utilize several workshops to complete a single model, and all final setup is done right here in the United States. Rather than having one large factory mass-produce an entire instrument, our guitar line sources each component based on quality and craftsmanship. Through this process, they promise consumers no large factories, no unfair labor, and no corners cut. That all sounds good, right? But I won’t lie. I was rather dubious. I mean, this sort of socially-aware mission statement isn’t exactly uncommon. But after doing some research, both via Google and YouTube, it seemed that other guitarists were happy with the instruments they’d purchased from Sublime. And so, I decided to give this company a shot. 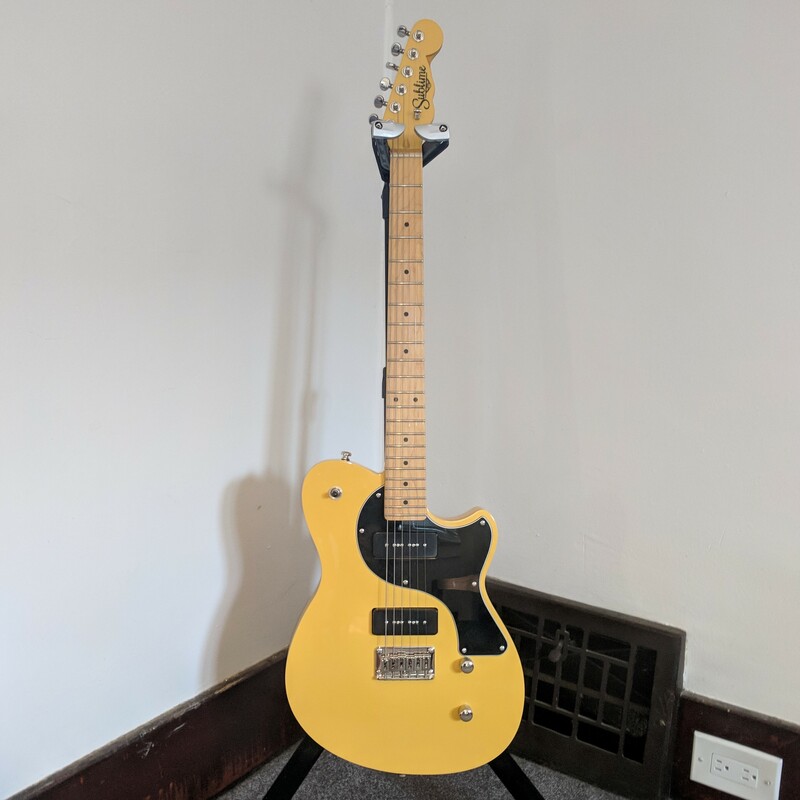 Even though I tend to prefer rosewood or ebony fingerboards—as found on their Tomcat Stripe model—I chose the Tomcat Standard, only because I couldn’t pass on the Broadcast Yellow finish, with a three-ply black-white-black pickguard. It was $649 and included free shipping to Buffalo, NY, only a few miles from my house in Fort Erie, Canada. Each guitar gets about 45 minutes of setup. 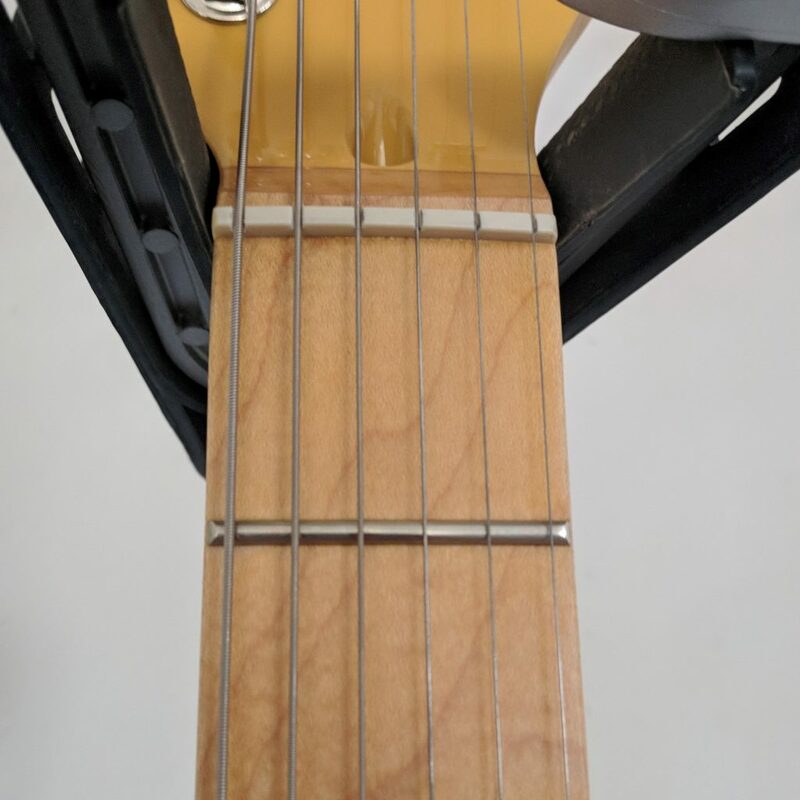 This will include cutting the nut to set string height, putting relief in the neck with the truss rod, setting intonation, pickup height, saddle height, polishing the frets, oiling the fretboard and overall QC of electronics. The setup is far more thorough than just plugging in and testing. I found this highly unusual. Even the big guys, even American-made guitars, like Fender and Gibson, don’t do a complete setup at the factory. It kind of goes without saying that, if you purchase a new guitar, a detailed setup will be needed, just to get the thing playable. So, when I got the box home from FedEx, I opened it up. The guitar was double-boxed, with ample bubble wrap, packing tissue, and Styrofoam. Really well done, and the guitar arrived in perfect condition. And, it turned out, David had been telling the truth. I’ve never before encountered a guitar, new or used, that was perfectly set up and ready to play, right out of the box. From slotting the nut, to setting pickup and string height, to perfect intonation, my new Sublime Tomcat was ready to plug in. And, best of all, they set it up with 10-46 gauge strings, which I much prefer over 9-42. The frets are smooth and polished, as advertised. No sharp edges to be found. I don’t have an exact weight for this guitar, but I would estimate that it’s somewhere between seven and eight pounds. 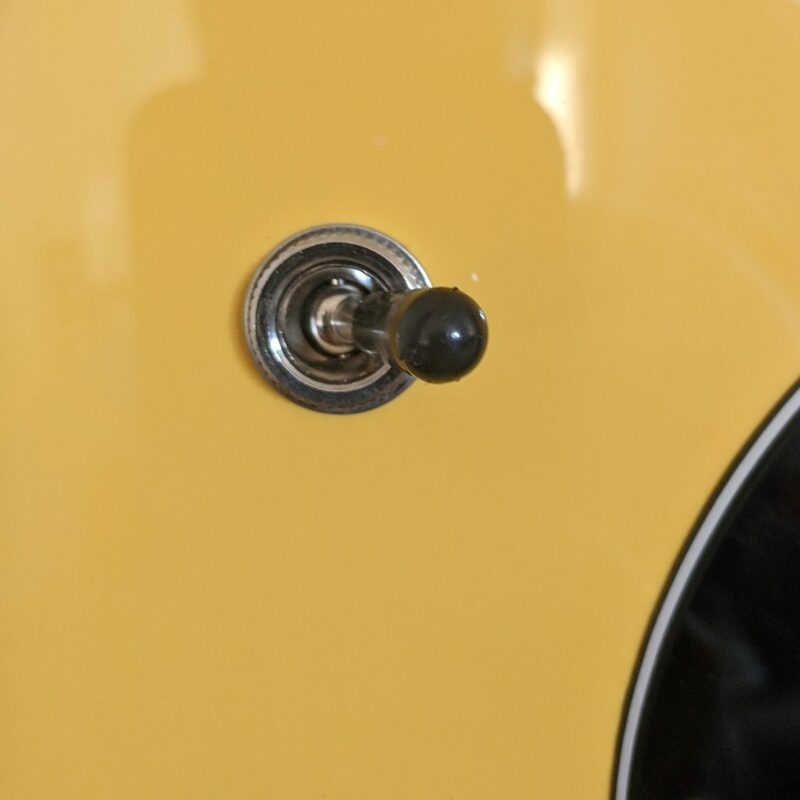 I know this is a small detail, but it’s the small details that make any guitar great (or lousy). The strap buttons on the Tomcat Standard are a touch fatter and rounder than I’m used to seeing, and it makes for a snug fit when wearing a strap. 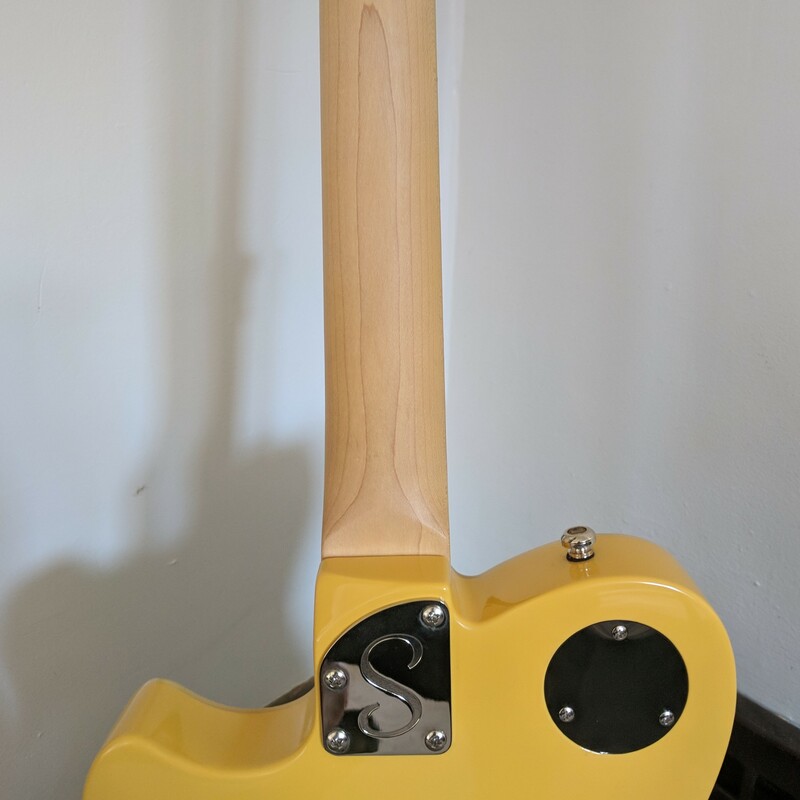 The finish of the body is excellent, but so, too, is the neck. It’s got a nice satin finish, as smooth as butter, and I find the neck profile really comfortable in my hand. The finish on the fingerboard is smooth, too. This is one area where, I assumed, an upgrade would be needed. 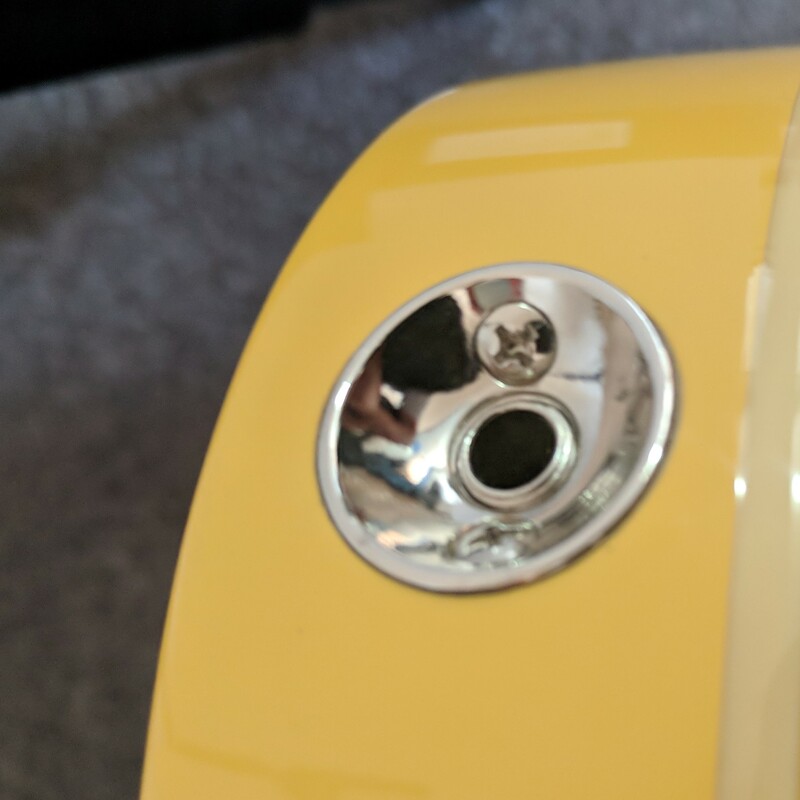 Import guitars have notoriously poor stock tuners, and I had a set of locking Grovers kicking around, which I fully expected I’d need to install on the Tomcat Standard. 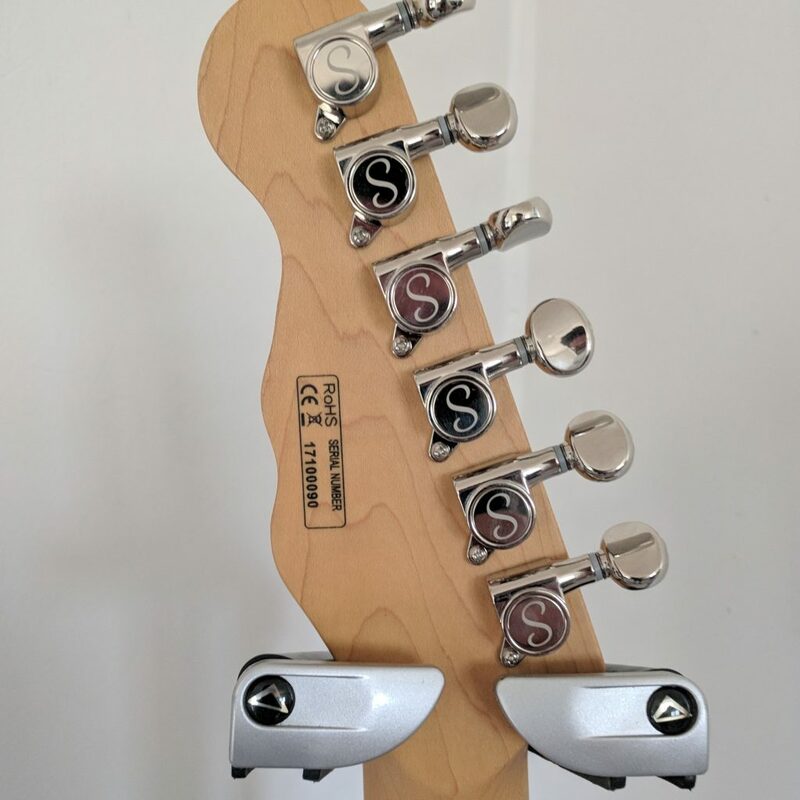 I was pleasantly surprised, however, to discover just how smooth and precise the stock tuners are. I’ll be leaving these alone. 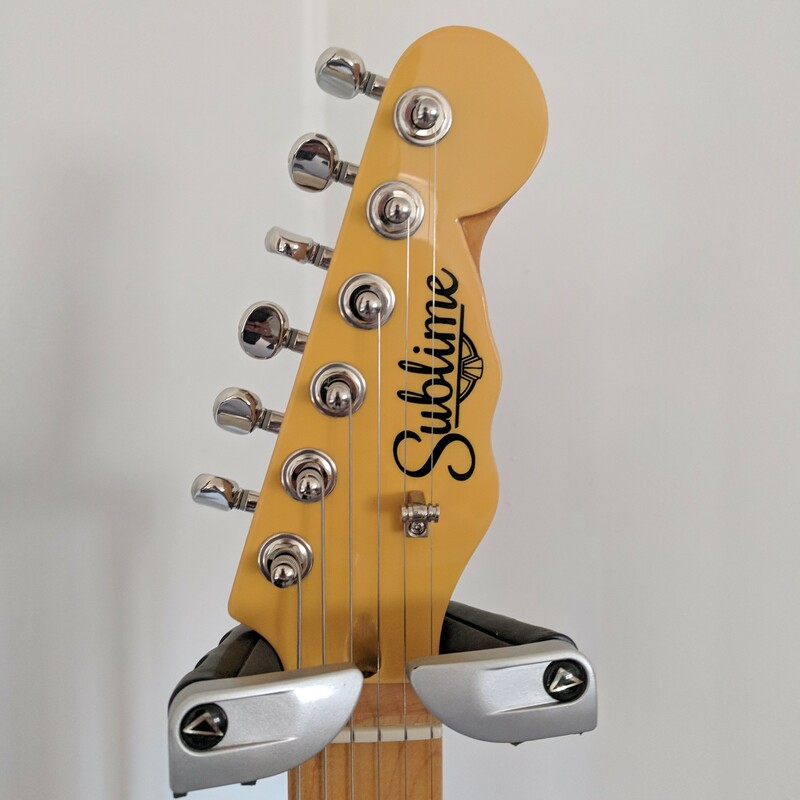 I’ve installed Graphtech TUSQ XL nuts on my other guitars, so I was pleased to discover that Sublime uses these nuts (by default) on all of their guitars. What I don’t love is the roller string tree. I know some people love these, but I’m not one of them. I find them a bit, uh, I don’t know. Cheap-looking, I guess? It’s easy enough to replace, of course, but part of me has to wonder… if you’re going to use a Graphtech nut, why not install a matching Graphtech string tree, too? It makes access to the upper frets that much easier. Before we get into the technical stuff, let me say that the sustain is excellent and it stays in tune like a dream. The pots are audio taper 500k pots and tone cap value is .022uF. Pickups are alnico 5 magnets urethane enamel 42 gauge wire. Bridge output measures around 8.5k and neck 7.8k. All of our pickups are custom wound to our specs. 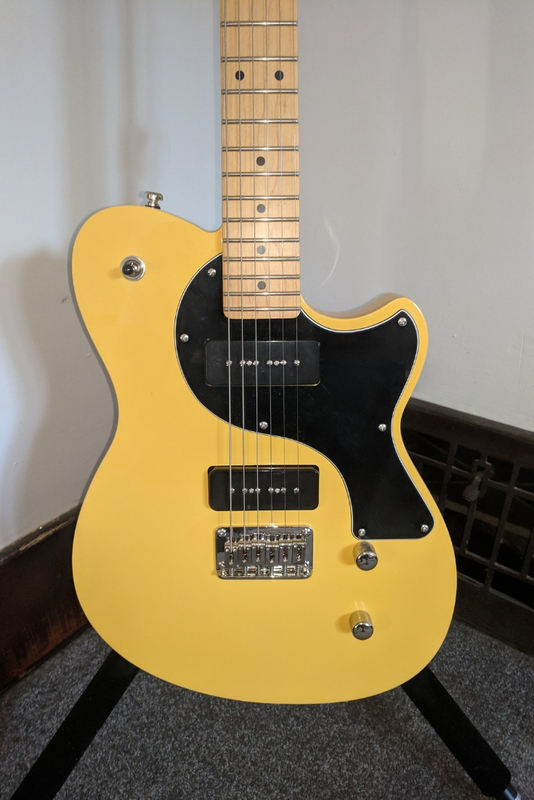 I don’t know if it’s just me, but I find stock P-90 pickups to be hit-and-miss at best, especially when it comes to import guitars. A good P-90 should be versatile, in the sense that it cleans up nicely, but also snarls with a bit of overdrive. And often, with imports (such as Epiphone), just the opposite is true. Their P-90s sound weak and anemic (to my ear), lacking clear definition, no matter how the pickup height or pole pieces are adjusted. Such is not the case with the Tomcat Standard. They sound bright, clean, and articulate. Highly responsive. They break up and growl at the first chance they get. In the middle position, you get a whole lot of chime, not to mention hum-canceling. In short, they’re everything I could’ve hoped for. Again, with imports, jacks and switches are often loose, producing snaps and crackles. Not only is this output jack tight and solid, but it sports a unique design. The switch is solid, too. No issues there. The volume knob does a wonderful job of rolling off a bit of dirt, when I want to clean up my sound. And the tone knob is highly sensitive, allowing me to produce dozens of very usable tones in different positions. 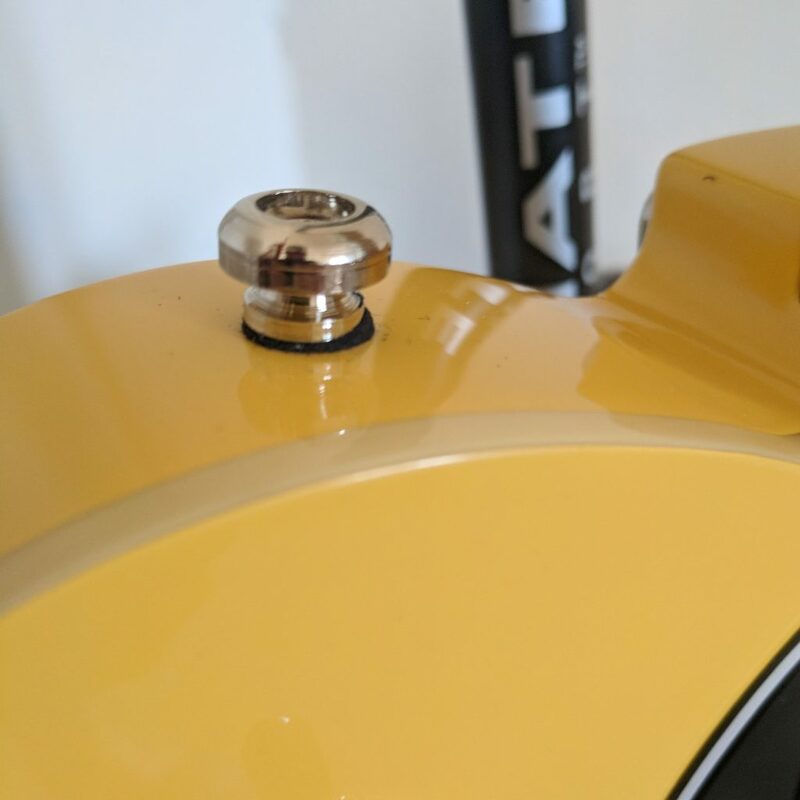 The chrome knobs are a nice touch, too, if I do say so myself. Sublime Guitars makes a promise that you will feel, play, and hear the difference. 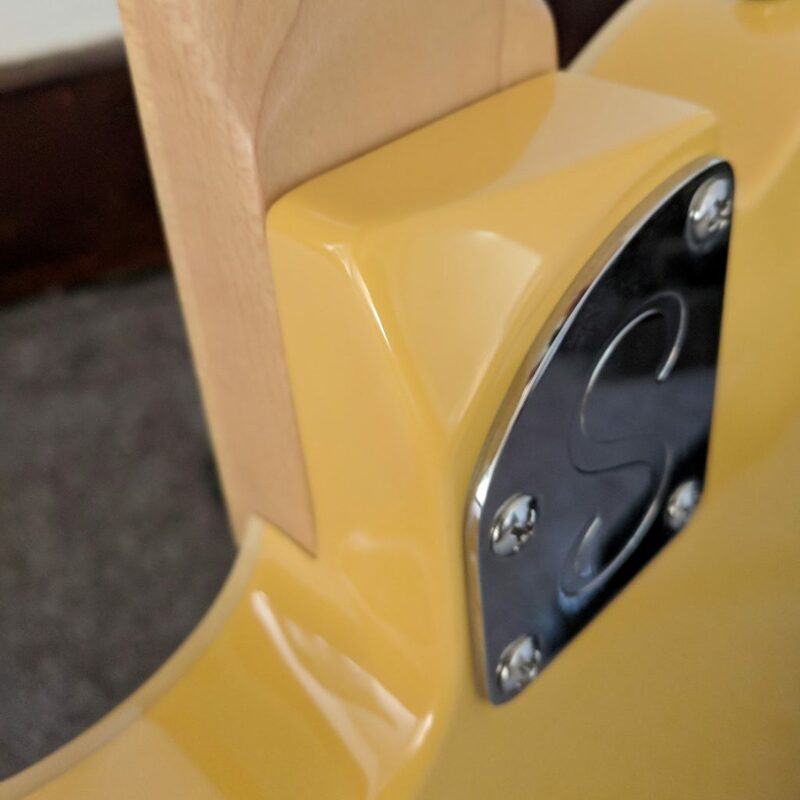 In my experience, the service, value, and attention to detail offered by Sublime Guitars is unparalleled. I wouldn’t hesitate to purchase another instrument from them. As it stands, I’ve amassed more gear, at this point, than I have time to play. I’m not a professional musician. I don’t gig, I’m not in a band, and I don’t record myself. I’m a mediocre (hack) hobby player, and I play for fun in my living room. For that reason, over the next couple of months, I’m going to be selling most of the guitars, pedals, and amps I’ve acquired over the last several years. The Sublime Tomcat Standard, however, will be one of my three main axes going forward. It’s a lifelong keeper. It was worth every penny, and there isn’t a thing I plan to change about it. Except, possibly, for that ugly roller string tree. If I were a betting man, I’d hazard a guess that we’ll be seeing lots more good stuff from Sublime Guitars in the years to come. Feel free to check them out on Facebook, Instagram, and YouTube.